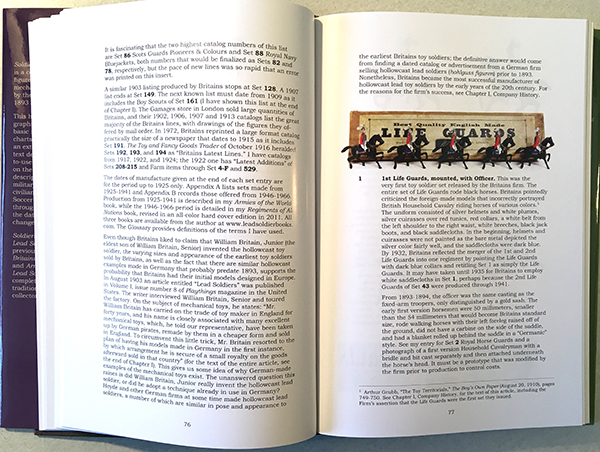 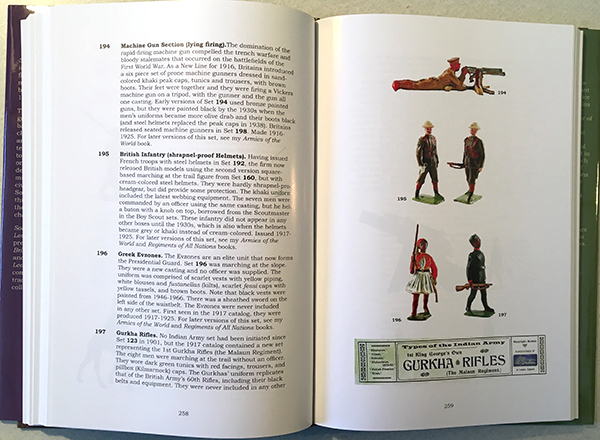 This latest book on Briatins Toy Soldiers by Joe Wallis deals with the era between 1893 and 1924 when the firm developed the distinctive style and quality that made it the most popular and recognizable in the world. 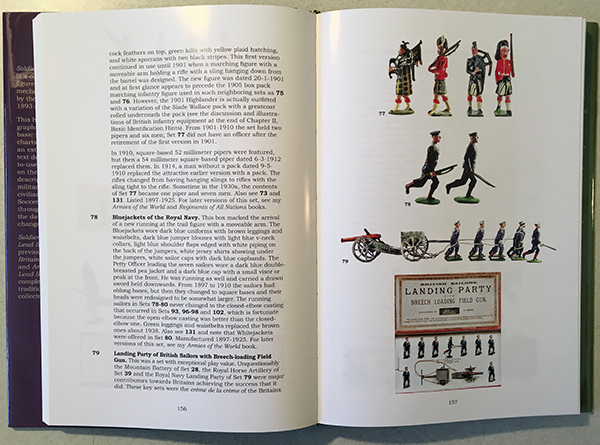 This intensively researched work answers questions about the early mechanical toys, "ancient" Britains figures, sources of their designs, the accuracy of their models, the small-size B Series, the little-known Paris Office, and Fred Whisstock's wonderful box labels. 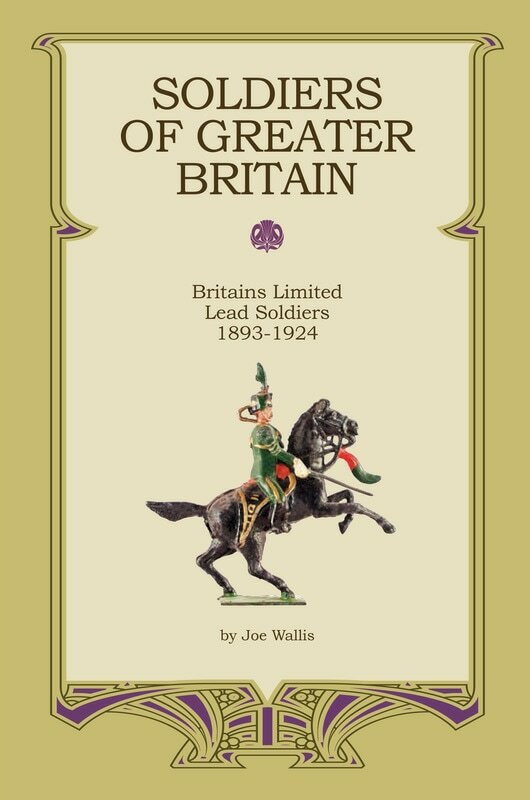 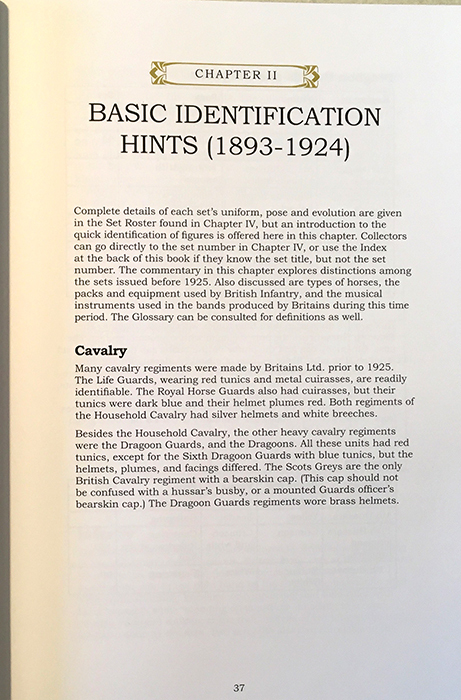 Soldiers of Greater Britain, along with Joe's earlier Armies of the World (1925-1941) and Regiments of All Nations (1946-1966) provides a thorough and authoritative record of Britains traditional lead lines. 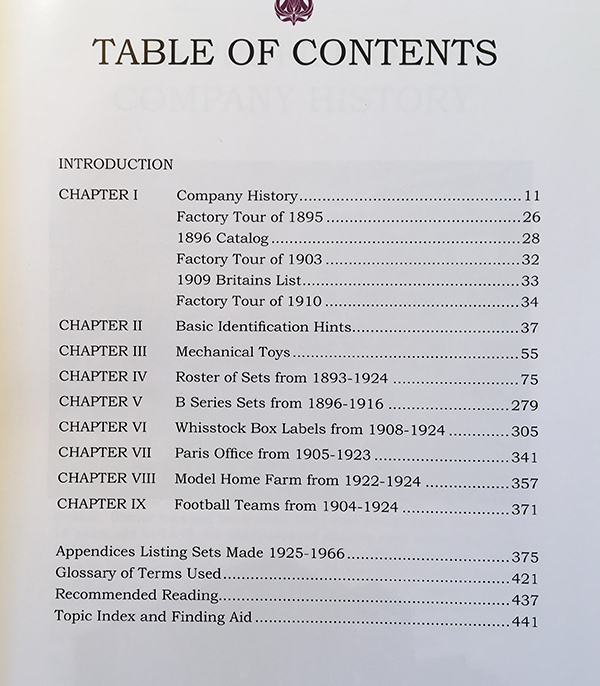 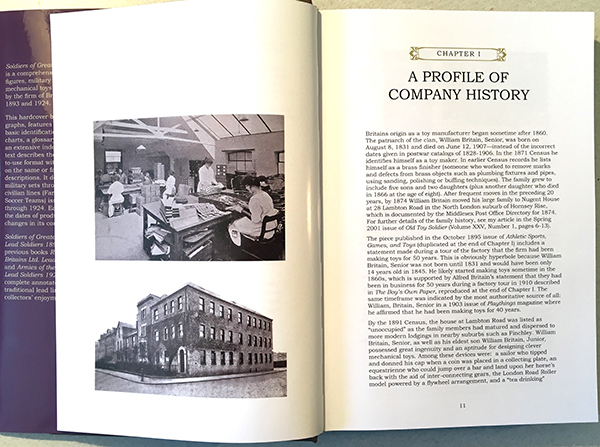 - Includes a Company History, a chapter of Basic Identification Hints, a Glossary, Appendices listing sets made after 1924, and a Topic Index.